Re: 600-24 and Brown Act Violations by members of the La Jolla Community Planning Association. First and foremost I believe the majority of the Trustees on our community group serve our community with only the best of intentions. And I like many residents ofLa Jolla, would like to save our Post Office from closing. These personal beliefs however do not grant me access to the official email list of our community group to broadcast my personal points of view. As stated in your recent email, Council Policy 600-24, Article 1 Section 4 states the following; “The official positions and opinions of a recognized community planning group shall not be established or determined by any organization other than the planning group, nor by any individual member of the planning group other than one authorized to do so by the planning group”. Additionally In accordance with Brown Act section 54954.2(a), at least 72 hours before a regular meeting, an agenda shall contain a brief general description of each agenda item. The listing of an agenda item shall include the intended action of the planning group regarding that item, for example, stating that the item is an information item only or it is an action item. To date our community group has not posted an agenda nor held a publicly noticed meeting as required by Council Policy 600-24 and the Brown Act in which saving the La Jolla Post Office was listed 72 hours in advance as an action item. Nor has the community group publicly voted to establish an official position on this subject. On April 16, 2012 the President and/or the Vice President however, authorized the use of the community group’s email (info@lajollacpa.org) to disseminate information of an upcoming meeting for an organization not associated with the LJCPA. Our community groups Vice President, Mr. Joe La Cava, is a founding member of this organization “Save the La Jolla Post Office Task Force”. The use of our community planning group’s email list without authorization by a public vote of the LJCPA is wrong… and should not happen again. Mary, I am additionally concerned about an unrelated issue. The San Diego Planning Commission on August 12, 2010 certified the Mitigated Negative Declaration No. 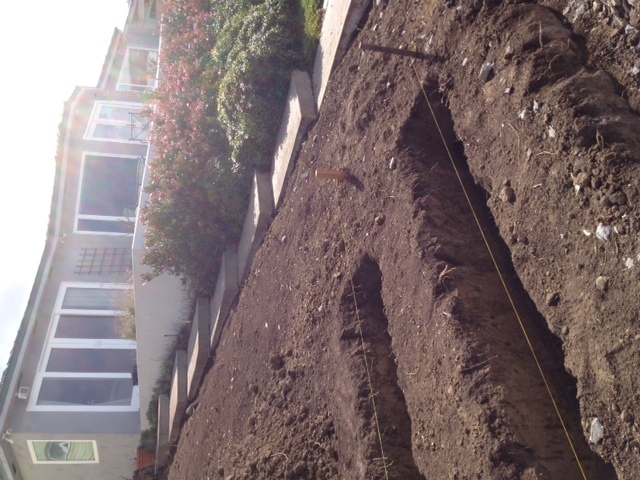 191344 in association with their decision to deny an appeal and uphold the Hearing Officer’s June 30, 2010, decision to approve a project at 8466 El Paseo Grande in La Jolla Shores. 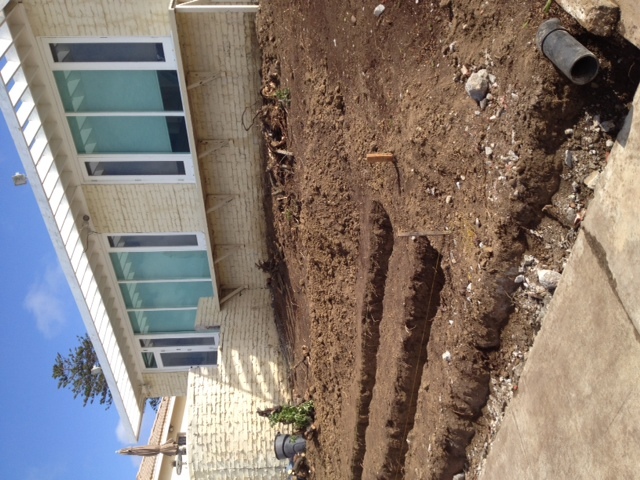 The project was an application for a Site Development Permit for Environmentally Sensitive Lands for the expansion of an existing rear deck and new retaining walls for an existing single family residence. 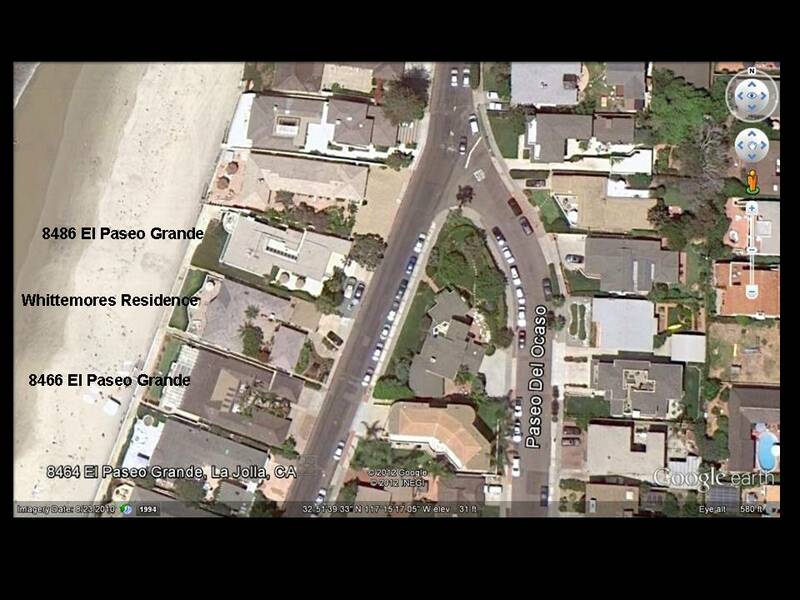 The appellant of the project was LJCPA Trustee Rob Whittemore (Save La Jolla) who resides at 8470 El Paseo Grande. Mr. Cristifi was employed as his expert witness for this appeal. Mr. Whittemore’s appeal alleged the mitigated negative declaration prepared by the city was invalid as a matter of law. And the Project as proposed would indeed have a significant effect on the environment and accordingly an Environmental Impact Report should be prepared. This unsubstantiated appeal and the ensuing lawsuit has cost the Cardenas family, hundreds of thousands of dollars. Advance forward just two years….Mr. Whittemore and Mr. Cristifi as LJCPA Trustees are both completely aware of the project at 8486 El Paseo Grande. They both are aware and understand that this project has not made an application for a Site Development Permit for Environmentally Sensitive Lands for the expansion of their existing rear deck and new retaining walls for their existing single family residence. In fact when a Neighborhood Code Enforcement officer visited the site and issued a stop order, the project manager handed over Mr. Cristifi’s business card and stated; “if you have any questions contact Mr. Cristifi”. 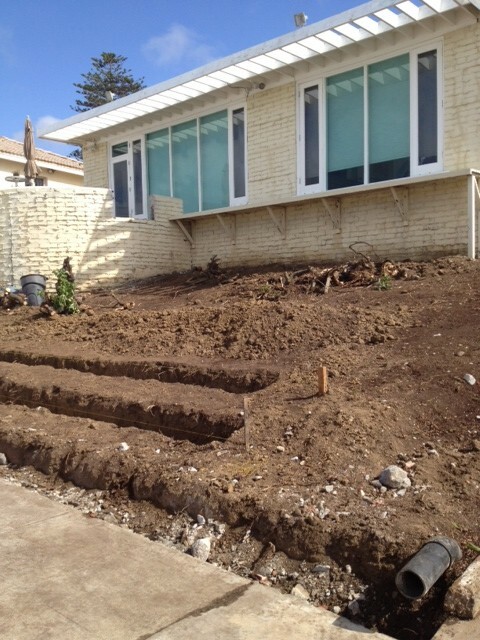 When contacted Mr. Cristifi indicated to the code enforcement officer “The work being performed was only landscaping, therefore permits were not needed”. 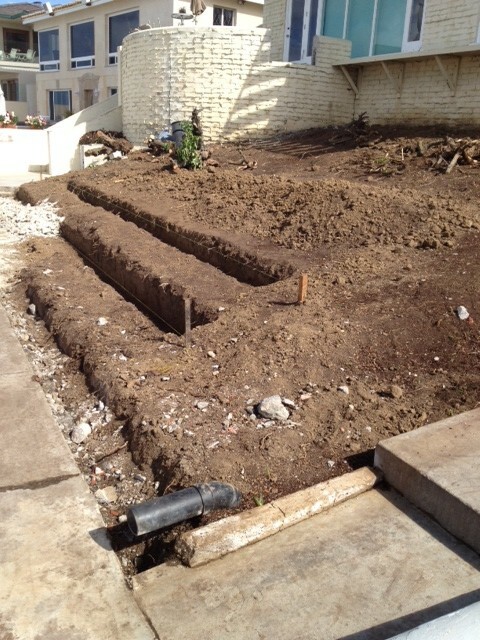 Attached for your review are pictures of what Mr. Cristifi refers to as “Just Landscaping”. Mary, once again the above mentioned violations are insignificant on their own. They are however, further illustration of a pattern of the activist members of our community planning group that refuse to adhere to or respect the community planning process in La Jolla. It is time the City of San Diego evaluate the systemic problem we have in La Jolla. We have activist members on the La Jolla Community Planning Group that refuse to abide by their own bylaws, Council Policy 600-24 and/or the Brown Act. 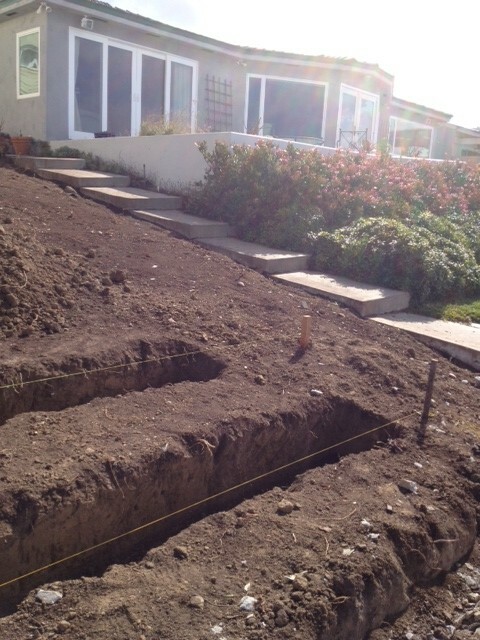 This is the Project Manger at 8486 El Paseo Grande. He handed the code enforcement Officer Mr. Cristifi’s business card with the instructed to call Tony if he had any questions. Notice there is no saw cut in the existing brick wall above. Are those Indian Bones? Notice the saw cut in the existing brick wall and the holes for the footings of the soon to be new patio located on environmentally sensitive land. 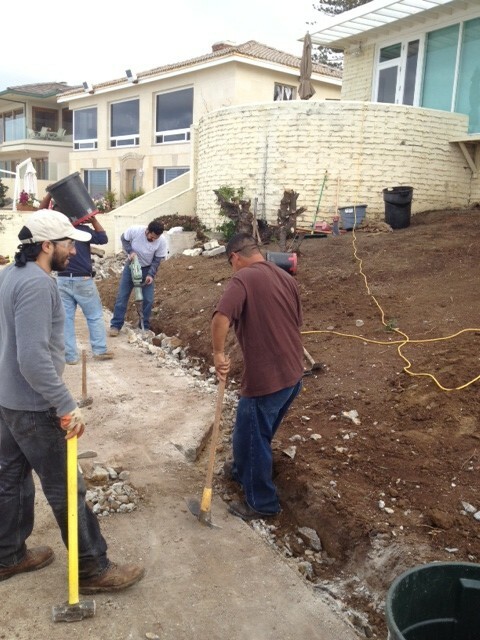 Do you think the location for the footing were randomly place by the work crew…..or were plans drawn for the construction of this new patio?